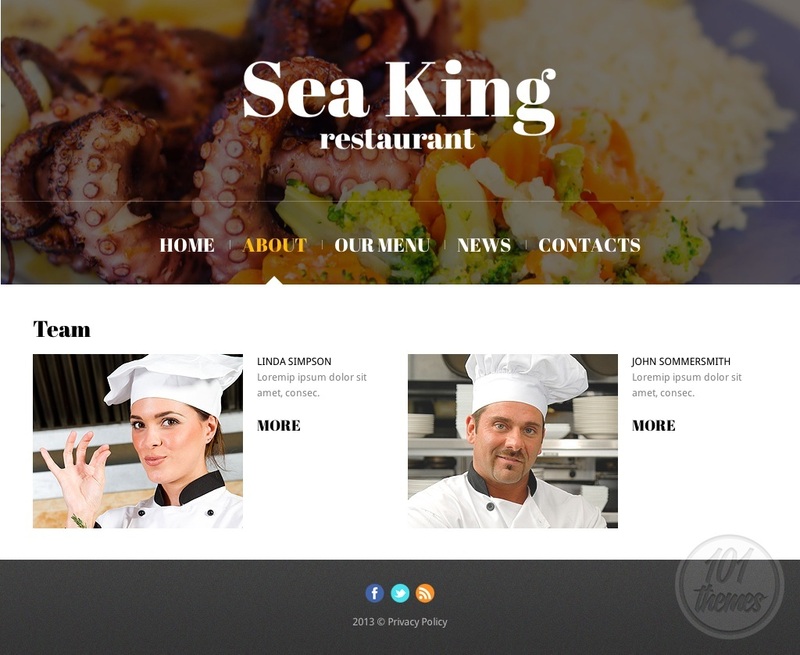 Sea King is a wonderful looking, responsive seafood restaurant template for Joomla. The template was created by Di and it is featured at Template Monster. 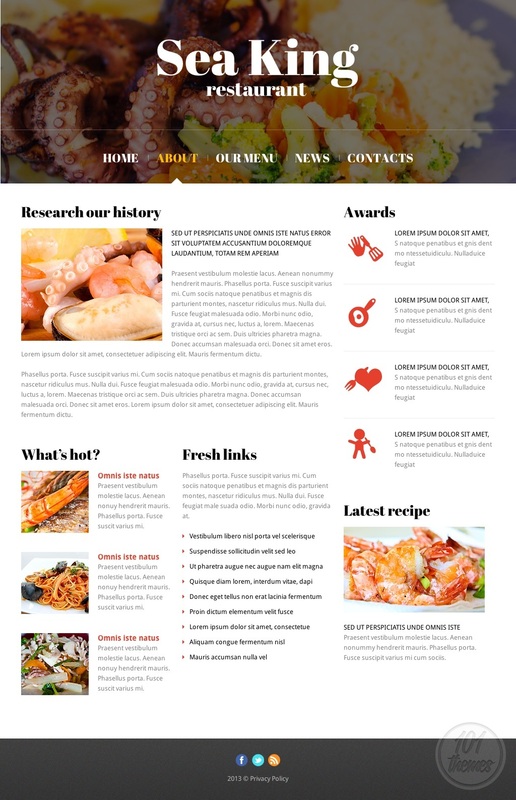 This template is perfect for a seafood restaurant because it was especially created for the niche. There are many details and illustrations added to match the nature of your restaurant such as seaweed, shells, a lighthouse etc. Any element of the template can be moved somewhere else or omitted. 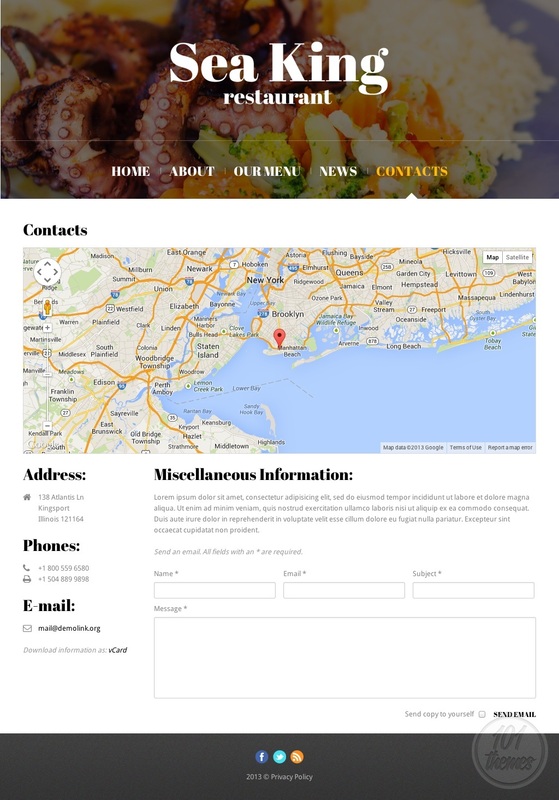 The background had beautiful illustrations of seafood dishes, while the content area is kept pure white so your posts remain in the focus of attention. A big, wide slider is featured at the very top of the homepage, making the perfect spot for showcasing the most remarkable photos of your delicacies. The feature space is right under it, and this is where you can present the most important posts and introduce your visitors to your restaurant properly. Let them know all about the services you provide for them, or introduce them to your staff and chefs, or let them have an insight to your special offers. 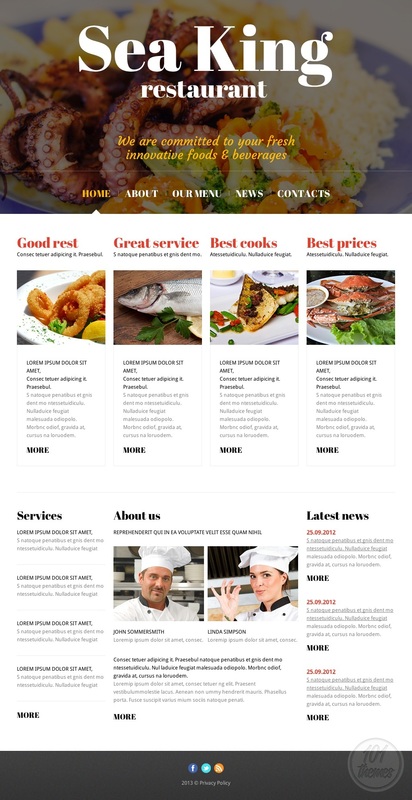 The “about us” section is there for you to write nice posts about your restaurant, and you can feature the one that explains everything on your homepage. Your services and latest news will be featured on the right and left of this post. Social integration was nicely done and there are social buttons added for you to easily connect your website to the most popular social networks. 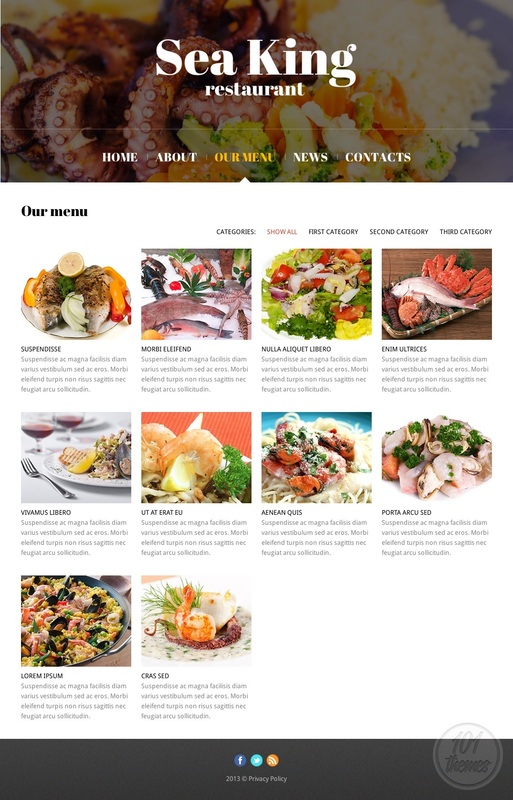 The menu looks great, and you will be able to categorize it neatly and have yourself a well-organized menu that is very easy to browse. Each menu item will have its own photo and description along with a price. 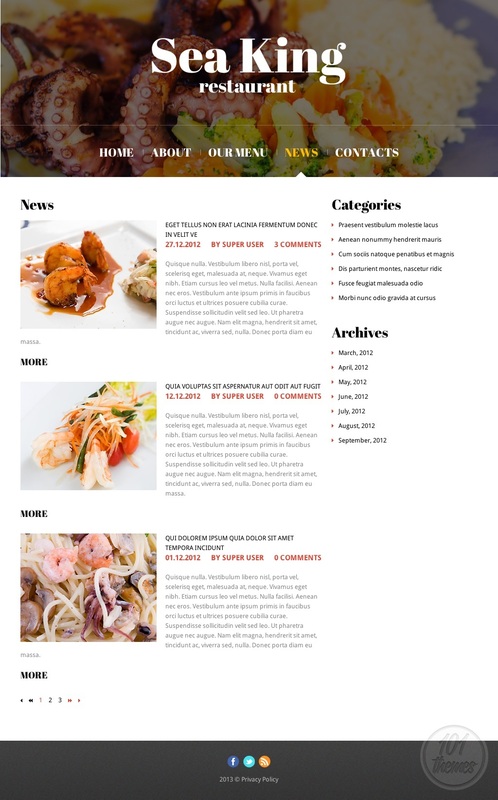 The news section is there for you to post as much as you want and announce any upcoming events or any other kind of news you might be having at your restaurant. The contact section includes Google Maps integration and a contact form. 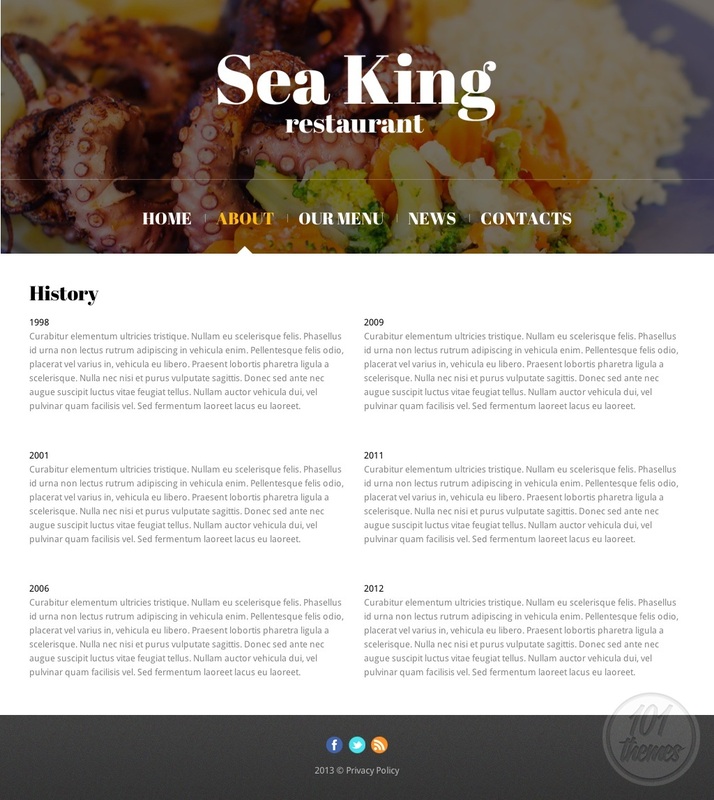 As a responsive Joomla restaurant theme, Sea King is going to look fantastic on all devices, including smartphones and tablets.